Incriminating Evidence – A Fascinating Thriller! The “Evidence Series” by Rachel Grant is a fascinating combination of archeology, politics and war that keeps mankind hinging on edges of power play and destruction for personal gain and us readers at the edge of our seats and highly entertained. “Incriminating Evidence” takes archeologist Isabel Dawson to the wilds of Alaska searching for truth about her brother Vin’s death as a Raptor operative on Raptor land. Saving the Raptor CEO Alec Ravissant was never on her hiking trail, yet she ends up saving the unconscious former ranger turned politician despite her reservations about him covering up her brother’s death. Alec has no recollection of how he ended up unconscious or who would want to hurt him. But facing his red haired, sassy and smart savior sure sparks attraction that he wants to explore. Being a millionaire running for senate and operating an organization of covert operatives sure puts him in the crosshairs of danger, but now Isabel’s life is threatened as she becomes a victim of evil and end up in his compound for protection. With the danger of betrayal coming from within the walls of the compound, Alec and Isabel have a traitor to catch and a passion to explore. With trust and honesty put to test, both have to go beyond their feelings to believe in each other enough to put their lives in each other’s hands. Alec and Isabel are two strong and courageous individuals, willing to sacrifice for each other to bring justice to her brother and put an end to the threat harboring the world. 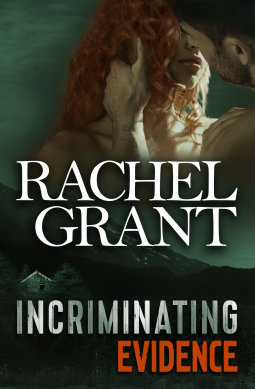 With a sublime passion and an aura of lust between them, Rachel Grant does a brilliant job of weaving a tapestry of suspense and danger in the wilderness of Alaska. With no dearth of emotions and pain, “Incriminating Evidence” takes you on a thrilling ride of pain and betrayal, trust and honesty, evil and destruction. And it is always wonderful to re-visit characters from the previous books of the series. With so many small moments of tenderness and love, passion and lust, danger and betrayal, greed and evil, this is one entertaining and fascinating book you will not put down until the very last page is read. Received an ARC from All Night Reads via NetGalley for an honest review. Reblogged this on The Fiction Times. « Wild Hearts – Secrets Kill!! !